British Olympic gold medallist Paul Goodison, 32, is the new Laser World Champion. 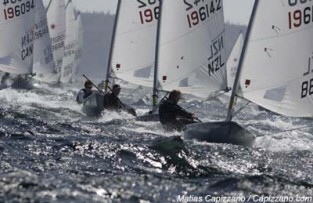 Paul hung on in the final day of competition to take first place at the 2009 Nautel Laser World Championships on St. Margaret’s Bay in Nova Scotia. Coming into the competition, Paul’s chief rival was 21-year-old Australian Tom Slingsby, who won the Laser Worlds in both 2007 and 2008. Slingsby came in 17th. For more information, visit www.laserinternational.org .